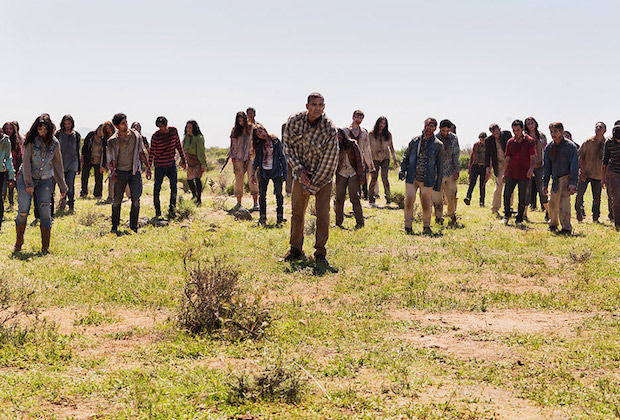 Fear The Walking Dead returns next month, offering more mediocre adventures to chew on while we wait for The Real Zombiebusters to continue. TV Line has published the first still pictures from this new season, and they reveal the writing staff is not walking back on this “split up the family” thing….Crazy Nick is truly striking out on his own, though he may not be alone for long. And no, the herd of zombies below won’t be his new family, no matter what he says. Shorwunner Dave Erickson says Nick “does reconnect with someone when we come back in Episode 8,” and this couldn’t mean anybody but Travis and Chris. In my dreams it would be Alex, but we’re not that fortunate. 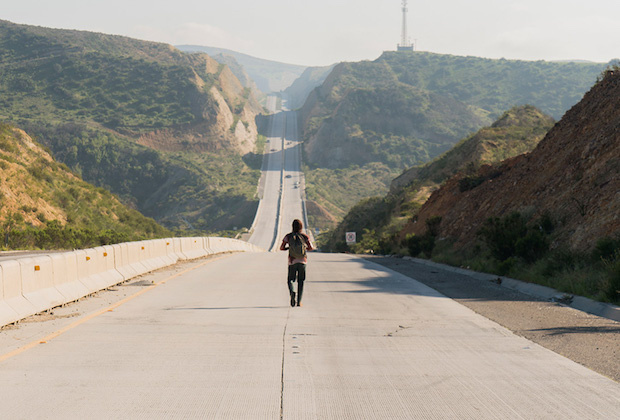 Fear The Walking Dead returns to finish up its second season Sunday, August 21, at 9/8 central on AMC.